Have you ever wondered what hospitality is and what it looks like to practice it? Perhaps you have wondered if hospitality is inviting your in-laws over for supper or if it is hosting a small group from your church? Furthermore, if you do practice hospitality what should be the condition of your house? These are just some questions we may ask when it comes to hospitality. I hope our Evening of Hospitality will answer many of these questions. 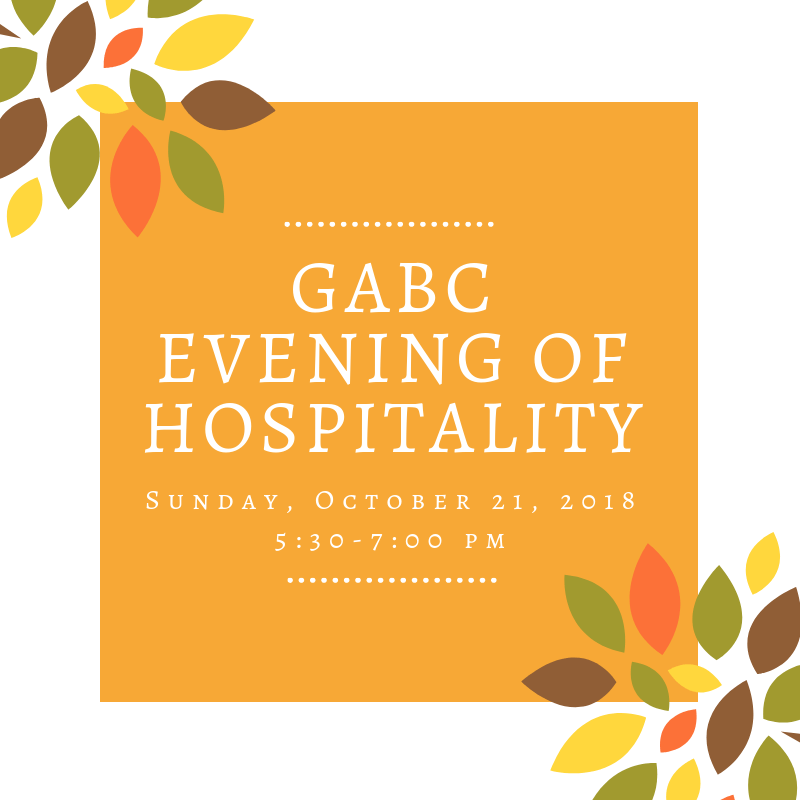 Sunday evening, October 21 from 5:30 to 7:00 pm will be an evening devoted to what it looks like to practice hospitality. You are invited to attend an evening focused on defining and practicing hospitality in our small groups and homes. It will be a fun and interactive time that will help us grow in our understanding of hospitality and equip us to practice hospitality. We will begin at 5:30 pm in the Overflow area with a pizza supper. There will be all kinds of yummy pizza, including gluten-free pizza and veggie pizza. Be sure to get all the pizza you want and eat all you get. During our time together, we will sing some songs, have an interactive Bible study on hospitality, hear inspiring testimonies about hospitality, and giveaway a few books on the topic of, you guessed it, hospitality. Our evening will conclude with some thoughts on what we have experienced in our time together.